Hi! I'm Julie! I'm 32 years young and live in Kentucky Indiana. I'm still a Kentucky girl at heart, but migrated to Indiana last year. 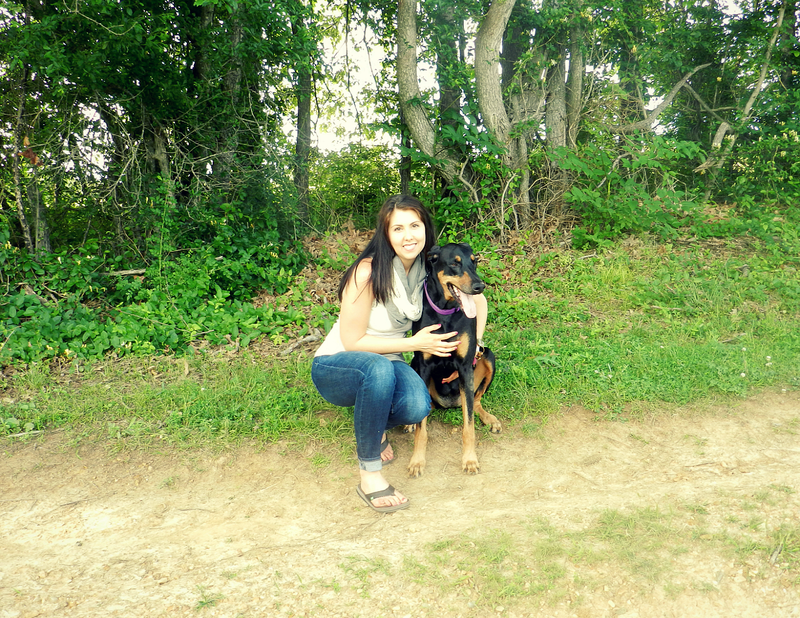 I have a beautiful doberman fur-baby named Lily who has me wrapped around her furry little paw. I love to spend time outdoors with her as much as I can, and also live a healthy lifestyle. I decided to try out the Paleo lifestyle more than 3 years ago, and have never looked back. I love cooking/baking and trying new recipes that incorporate organic, wholesome foods. Find out more about the Paleo lifestyle here and here. I'm also on the road to natural, holistic health, and am learning to utilize more natural remedies for my overall health. I have hypothyroidism, and am always looking for natural ways to help my body heal itself. I recently became a Young Living distributor to have more access to essential oils for myself, but to also share my knowledge with anyone who's looking to use essential oils in their daily life. Have questions? Contact me! Just like most Southern girls, I'm addicted to shopping! Admitting it is the first step, right? I also enjoy (attempting) DIY projects/decor and learning to use vintage items in new ways. So fill up your cup (coffee or wine, anyone?) and follow along on my journey of life!